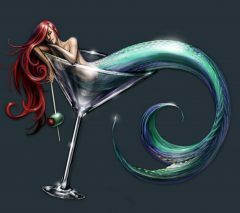 I originally wrote this post on April 28, and then promptly forgot about it, and never posted it – oops! It’s about our first foray into the Exumas, the chain of islands that’s kind of in the middle of the Bahamas. It runs about 100 miles north to south, and is no more than 1/2 mile wide for much of that. 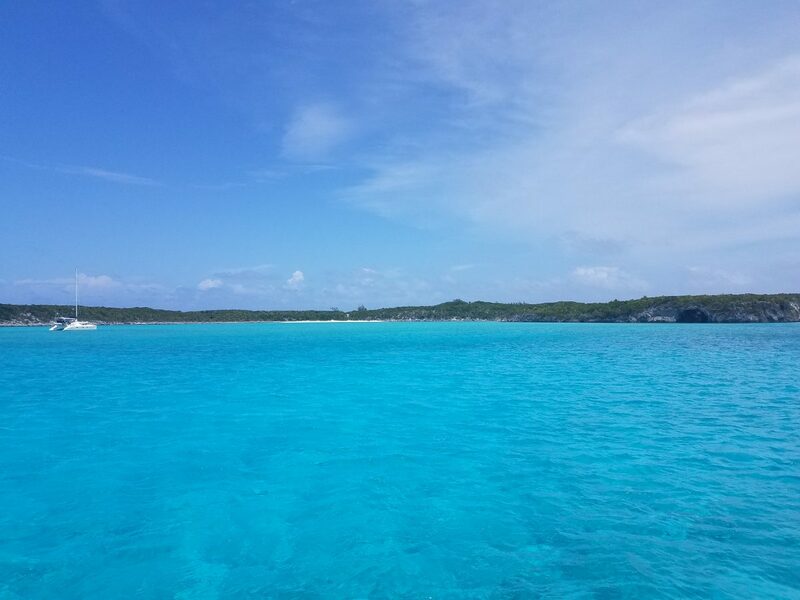 It consists of over 365 mostly-small islands (“cays” – pronounced “keys”, not “cays”), with lots of cuts between them that connect the “big water” (the Exuma Sound) on the east side to the shallow bank on the west side. In the middle is Staniel Cay, near the famous Bahamas Swimming Pigs. Great Exuma is the southernmost island, and that’s where George Town and Elizabeth Harbour are. Literally hundreds of cruisers spend their winters there. What follows is from our first visit to any of the Exumas – the northern part, most easily reached from Nassau. If you want only the pictures, scroll to the end. Click here to see the path we’ve taken so far. Click the “+” next to Fran’s name. We anchored just off a beautiful beach, put Killer (our dinghy) in the water, and explored around the island. This would become almost a ritual as we moved from cay to cay. Norman’s was the home of some serious drug smuggling in the late 70’s and early 80’s, run by a guy named Carlos Lehder. Drugs came and went by plane and boat. There’s a rusted out hulk of an airplane in the harbour, and some bullet holes in a few of the buildings from those days. Now, Norman’s is home to a small restaurant and bar, a few rental bungalos, and one of the best hamburgers I’ve ever had, anywhere. (For $25, it better be!) They don’t make this claim, but if they did say it was the inspiration for “Cheeseburger in Paradise”, it would not be hard to believe. We didn’t find any great snorkeling around Norman’s, so the next day, we moved north a few miles to Highborne Cay. Highborne is home to a fancy-schmancy resort, a very nice, but very small, well sheltered marina, and a restaurant. We took Killer into the marina to fill his gas tanks, and had some lunch at the restaurant. While we were there, a barge was bringing in a massive amount of stuff for some rich dude’s birthday party. Apparently he had rented out the whole island for a week, and it was going to be a real blow out! We were not invited – can you imagine? We did find a few small places to snorkel, but still, nothing we would go out of our way for. 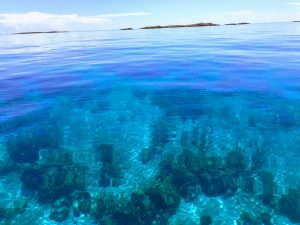 Unfortunately, this has been our experience so far in the Exumas – most places, as beautiful as they are above water, don’t have much to look at under the water. We’ve found exceptions, and we certainly haven’t stopped searching yet – but it’s not like there are beautiful coral reefs off the shore of every cay. We’ve really had to search. There’s supposed to be great fishing for mahi mahi on the outside of Highborne, and the seas weren’t too bad, so out we went. (“outside” refers to the east side of the islands – the ocean side – and the west side is the “inside”, where it’s shallow and protected from the ocean waves and swell, for the most part.) We took Killer. A little small for ocean fishing, but we weren’t going to be more than about a half-mile offshore, so it was OK. We trolled up and down the drop-off in about 100 feet of water for 45 minutes or so, and then decided that we really should have either a bigger boat, or calmer seas, for trolling in the ocean. 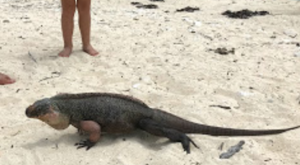 There are native iguanas on a small number of cays in the Exumas, but Allan’s is probably the most famous one, because when you beach your dinghy, the iguanas come to greet you. Well, not really – they come expecting you to feed them, which most people do, so they keep coming. Within minutes of us arriving, we could see 15 of these prehistoric-looking lizards on the beach, most of them within throwing distance (the distance we could throw the lettuce, not the iguanas). But apparently they’re accustomed to grapes, and we had none, so most of them turned their nose up and showed us their tail as they retreated to the shade of the scrub. That coral is 20 feet down! This is the farthest north cay in the Exumas. North of it, the chain becomes just rocks sticking out of the water, too small to be called cays. (There’s supposed to be some nice coral reef up there, but it’s a long dinghy ride to reach it.) We anchored near the remains of an old house that had been made from limestone blocks, cut from the island. 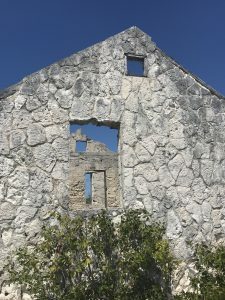 (Interesting tidbit – the only native rock or stone in the Bahamas is limestone. No granite, marble, slate – nothing but limestone. It’s what all the islands are made of, and why it’s so difficult to do any serious farming.) The house seems like it was built at least 50 years ago, maybe 100. Long since abandoned, it looked to still be structurally sound. There are so many abandoned homes throughout the Bahamas – one day, we’ll do a picture gallery of them. A very long, wet tour all around the island in Killer revealed nothing at all that we wanted to snorkel on. 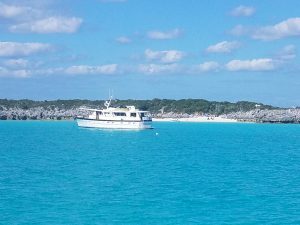 Summary: We’ve heard many people say the Exumas are their favorite part of the Bahamas. At this point, we’ve explored only the northernmost 10 – 15% of them, but if the rest are as beautiful as this part, it’s easy to see why people feel that way. The beaches are absolutely beautiful, as is the water in front of them. Our only disappointment was the lack of excellent diving and snorkeling. There’s probably a lot of that on the outside – we know of at least four live-aboard dive boats that come to this area from Nassau over and over – but with the wind blowing like it was, we didn’t get a chance to see for ourselves. Previous Previous post: Crew of Smartini Goes to Italy!